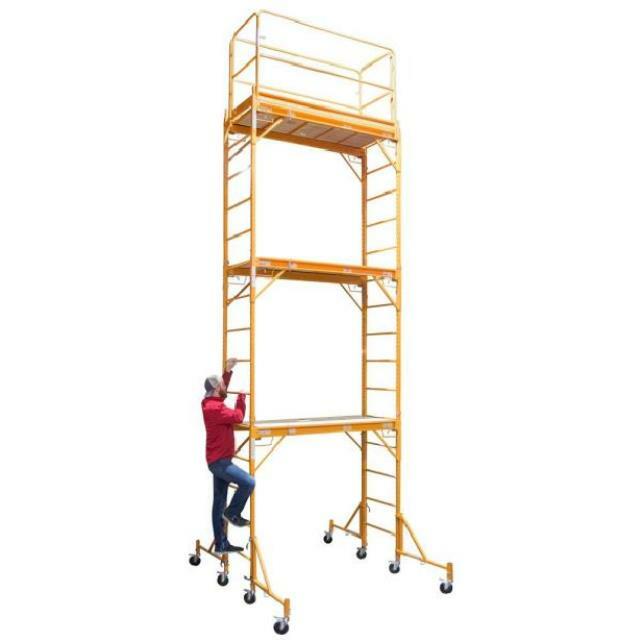 THE WORKING PLATFORM HEIGHT IS ADJUSTABLE IN 2" INCREMENTS. 1 SECTION HIGH 6' 12' 6"
**3 SECTIONS HIGH 17' 20' 6"
WILL EASILY ROLL THROUGH DOORWAYS. THEY CAN BE USED ON STAIRS. EASILY SET UP BY ONE PERSON. LOAD CAPACITY - 1000 lbs.